Spread one side of each slice of bread with mustard. 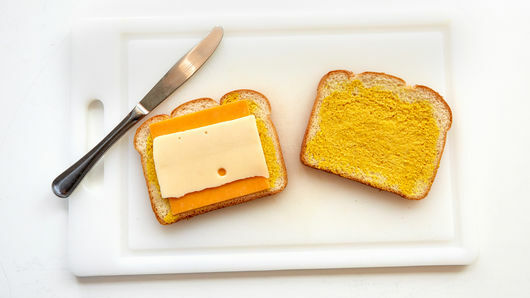 Top 1 slice with Cheddar and Swiss cheese; cover with other slice of bread, mustard side down. Spread outside of sandwich with margarine. Heat skillet or griddle over medium heat until hot. 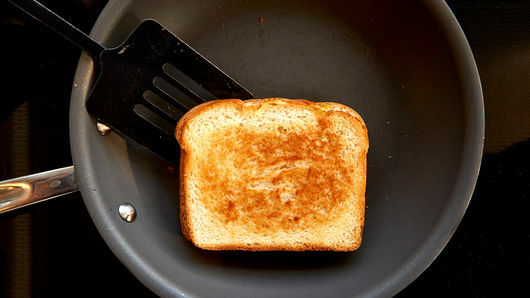 Place sandwich in skillet; cook 2 minutes or until golden brown. Turn sandwich; reduce heat to medium-low. 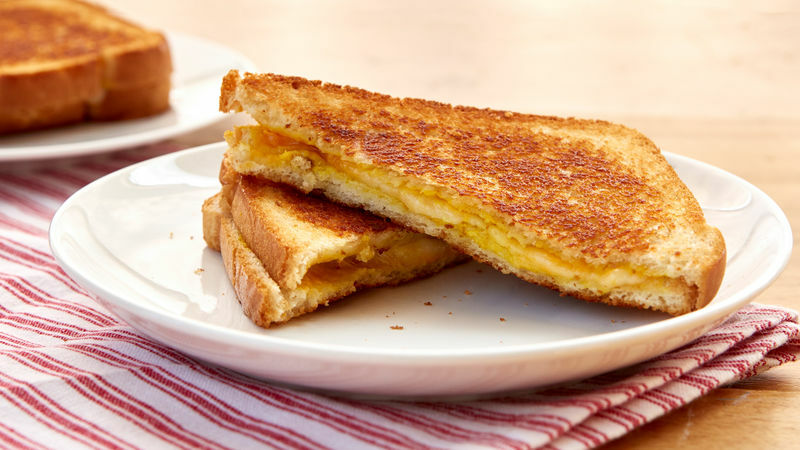 Cover; cook an additional 2 to 4 minutes or until sandwich is golden brown and cheese is melted. To make a Grilled Ham Veggie-Cheese Sandwich, arrange sliced ham, bell pepper strips, sliced onion and tomatoes between the bread with the cheese. Grill the sandwich as directed, adding a few extra minutes to the cooking time. Serve this grilled cheese sandwich with a plateful of potato chips, dill pickle spears and a glass of milk.